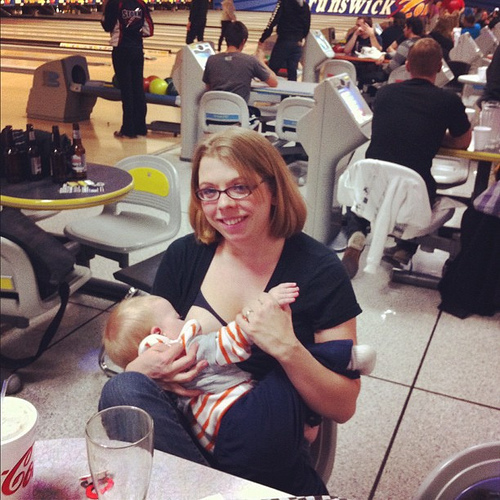 What I want to know is how in the world can she nurse her baby in a noisy place like a bowling alley? Any of my kids at that age would be looking around, no matter how hungry! I nursed my baby to sleep at Monster Jam. LOL When a baby needs his momboob, nothing else matters.